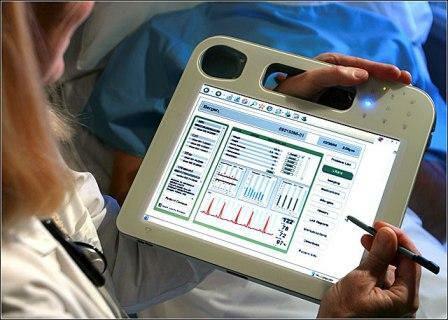 Home » News » News » Are you compromising integrity on your EMRs? Are you compromising integrity on your EMRs? You’ve heard the saying “Everything in moderation”. Sure, “copy and paste” is a great time saver when creating a patient note, but at what cost? Is it worth the risk of inaccuracy? EMR “copy and paste” is a largely discussed issue within the healthcare world today; much of which is negative. We would like to think that practitioners are writing notes word for word, but in an incredibly healthcare environment, is it a realistic expectation? 1. Potential to reduce the credibility of recorded findings and restrict proper coding. Maybe the patient no longer has the same issues that were documented in a previous note, however, they were copied and pasted to a new note. Previous notes could also have no relevance for present problems but the extra documentation could significantly assist in the inflation of current charges. 2. Errors/typos in an original patient note, if mindlessly copied and pasted, could affect the outcome of patient care. The nature of the error/typo could also lead to incorrect or fraudulent billing activity or even worse, a medical treatment error. It is plausible that an error could be duplicated many times over if a practitioner sees a patient frequently and carelessly “copies and pastes”. 3. Potential for one patient’s information to be copied and pasted into a completely different patient’s chart. Major issue on a number of levels! Varying opinions have been expressed in articles and blogs regarding “copy and paste”. Utilizing this function is a practitioners’ decision, however, consider this: if subpoenaed to court, could the “copied and pasted” information be explained? Is it obvious that a record hasn’t been “cloned”? By signing a medical record, the practitioner is ultimately responsible for the accuracy of the record. 1. Avoid over documenting. Only document what is necessary to the current care of the patient. 2. Document clearly and concisely. 3. Consider hiring a scribe to improve efficiency and productivity. Scribes can create and maintain a patient’s medical record under the supervision of a provider. They give a provider time to focus on patient interaction and care. 4. Pre-plan before purchasing an EMR. Work through the processes of documentation flow. Design templates that fit your practice needs. 5. Whatever means of “copy and paste” is deemed acceptable, be sure to put your policy in writing. Is the time-saved with a “copy and paste” shortcut worth potentially compromising the integrity of the medical record, treatment rendered and/or the billed services? We know the ins and outs of ICD-10. Let us set up your practice for success, while preparing you and your staff for the transition.